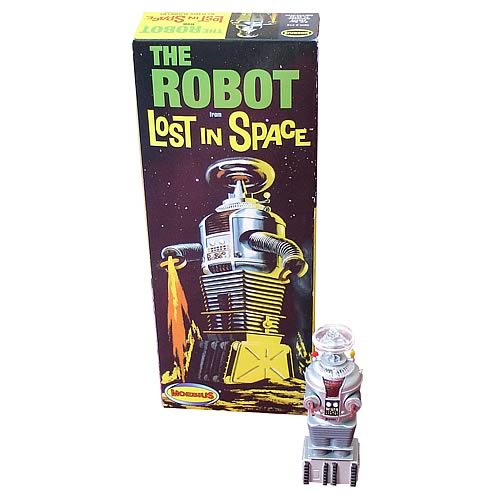 1:24 scale model kit of the robot from Lost in Space. "Danger, Will Robinson!" Who can forget the robot's warning phrase from the Lost in Space sci-fi TV series? You'll remember it well as you assemble and admire this nicely detailed 1:24 scale model kit based on the show. This robot stands approximately 3 1/2-inches tall atop his rocky base, ready to defend your desk from danger!